L’IHEID est issu de la fusion entre l’Institut universitaire de hautes études internationales, 1927-2007 et de l’Institut universitaire d’études du développement, 1977-2007 (précédemment Centre genevois pour la formation des cadres africains, 1961 puis Institut africain, 1962-1973 et enfin Institut d’études du développement, 1973-1977). L’histoire de l’IUHEI remonte à l’époque de la Société des Nations quand il fut la première institution au monde entièrement consacrée à l’étude des affaires internationales. L’Institut africain, d’emblée, a posé les problèmes de développement en termes novateurs pour l’époque, notamment grâce à Pierre Bungener (directeur de l’Institut africain) et Jacques Freymond (directeur de l’IUHEI). Cela montre bien que les relations des deux institutions datent des années 60 déjà. La richesse des archives patrimoniales prouve l’effort consenti pour le développement et le rayonnement des deux instituts dans leur mission d’enseignement et de recherche. Un plan de classement est disponible, sur demande, afin d’avoir une vue d’ensemble sur les différents fonds et séries, pour l’IUHEI et l’IUED. AtoM (Access to Memory) est le catalogue des fonds d’archives et collections spéciales versés à l'Institut de hautes études internationales et du développement. des archives privées et des collections spéciales, cédées par des professeurs ou des institutions actifs dans la coopération internationale ou l’étude des relations internationales et du développement. Ces fonds recouvrent une période allant de la fin du XIXe siècle à nos jours et permettent d’approfondir notre connaissance de l'histoire contemporaine d’un point de vue économique, juridique, politique ou anthropologique. N'hésitez pas à nous demander des renseignements sur nos fonds et les modalités de consultation. Les fonds d'archives William Rappard, 1883-1958 et Jacques Freymond, 1911-1998 sont déposés aux Archives fédérales suisses où ils peuvent être consultés. Les inventaires de ces deux fonds sont disponibles sur demande auprès de l'archiviste. Réalisés en 2009, une trentaine d'entretiens de professeurs et de personnalités de l’Institut universitaire d’études du développement (IUED) évoquant son histoire de 1961 à 2007. Documents relating to the adoption of the treaty by the UN on 7 July 2017. Donation from the Permanent Mission of the Republic of Costa Rica to the United Nations Office at Geneva. A unique collection of stock exchange lists covering more than 40 markets in all continents for 150 years. Archives of Professors in International Law at the Graduate Institute. Archives of the International Council on Human Rights Policy. 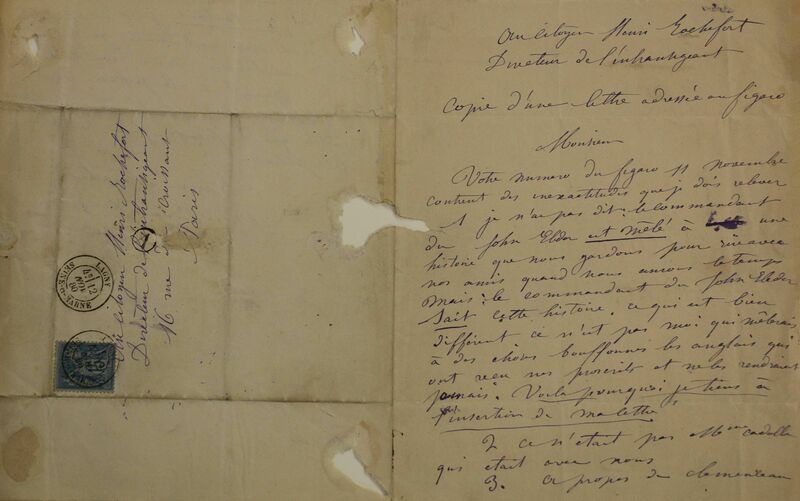 Archives of A. Monnier, ethnologist from Geneva, specialised in Papuan, Indonesian and Amazonian civilisations. Archives for Afghanistan from Pierre Centlivres – Honorary Professor and former Director of University of Neuchâtel's Ethnology Institute (Switzerland) and his wife, Micheline Centlivres-Demont, ethnologist. Archives for Indochina from Alexandre Casella, former war correspondent and Director of Centre Asie (Centre for Asian Studies) in the 1970's. Archives personnelles de H.-P. Cart sur l'Afrique du Sud, relatives à la mise sur pied d'une politique suisse visant à renforcer la société civile sud-africaine, encore sous le régime de l'apartheid. Archives de la Fondation créée par C. Eckenstein pour l'étude des relations de la Suisse avec le Tiers-Monde et le soutien des activités de l'IUED. Ce fonds a été transféré aux Archives fédérales suisses. A collection of old and rare books focused on diplomacy and peace-building, coming from a donation made in the memory of the alumnus Dr Ronald F. Dreyer (1950-2009) by his wife, in 2014. The IPB was founded in 1891, as a result of consultations of national peace societies. Its archives for the period 1891-1951 are deposited at the United Nations Archives in Geneva (UN inventory) and for the period 1951-2017 at the Graduate Institute. The Boris Souvarine Papers consist of the personal archives and collection materials of French communist, Boris Souvarine (1895-1984), who bequeathed it to the Graduate Institute along with a part of his personal library. 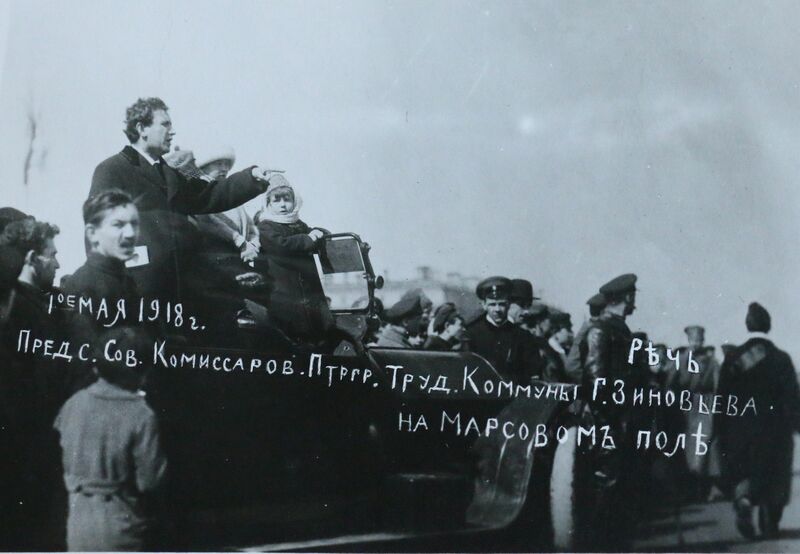 Boris Souvarine was a a communist activist, journalist and historian. A prominent figure of historiography on the Soviet Union, he published the first biography of Stalin in 1935. Member of the Third Communist International from 1921 to 1924, he was one of the founders of the French Communist Party, before he was expelled from it in 1924. Boris Souvarine was a pioneer in the studies of social movements and communism. The fonds at the Graduate Institute (five linear metres) contains some of Boris Souvarine’s notebooks, typed or handwritten working notes, correspondences, press clippings, sources files relating to East-West relations, autographs from the 1871 Paris Commune personalities, such as Louise Michel, and photographs. The Library is participating in the Flickr project “The Commons”, involving libraries and archives from all around the world. 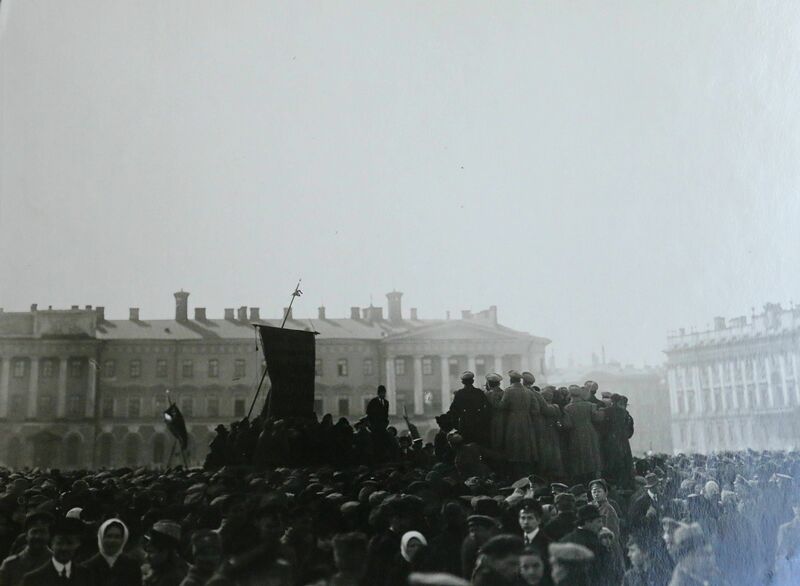 The photographs from the fonds can be seen in the Library’s virtual exhibition: “Soviet Russia Photos”. They mainly relate to the Russian Revolution of 1917 and to the Second Congress of the Third Communist International (July-August 1920). One can also find portraits of Bolshevik leaders, among them, Lenin, Trotsky, Zinoviev, who were met by Boris Souvarine during his mandate to the Communist International in the early 1920s. This exhibition was designed with the scientific collaboration of Honorary Professor Andre Liebich. The project was coordinated by Marie Caillot (archivist paleographer) and implemented jointly by Giselle Castelo (librarian), Marie Caillot and Edgardo Amato (photographs). The Library also wishes to express special thanks to Professor Joseph C. Bradley (UTULSA), Jean-François Fayet (UNIL), Barbara Martin (Graduate Institute) and Professor Lewis H. Siegelbaum (MSU) for their contributions. Inherited by the Graduate Institute in 2008 from Crédit Agricole, which had received it from Crédit Lyonnais after the merger between the two banks in 2002, the collection represents the preserved part of a once gigantic collection of economic and financial information gathered by the Crédit Lyonnais Service des Etudes Financières, created in 1871. Owing to difficulties of preservation — it had been stored in a former textile factory in Tourcoing in northern France, where it experienced damage from humidity — most of the collection was lost. Two major parts, however, survived. One is the vast store of government budgets from countries all over the world, which was sorted out through the cooperation of EHESS and the University of Paris XII, under the supervision of Professors Broder and Flandreau, and transferred to the Centre Technique du Livre, a state-run library repository in France. The other is the collection of stock exchange publications which the Graduate Institute acquired from Crédit Agricole in 2008. Covering stock exchange information for six continents, the repository could be said to be Thoreau’s figurative "Columbus to whole new continents and worlds within (…), opening new channels (…) of thought." Approximately 700 linear meters, the collection covers an immense stock of information concerning the world of finance in the age of globalisation. High frequency quotation records from 73 stock exchanges in 41 countries constitute the main component of the collection. They bring the complexity of Stock Exchange trading to life, underscoring the multiplicity of exchanges: several for each country, sometimes several for one market, and occasionally (as for a rare series of prices for gold mines), one market for several cities — as was the case for South African Gold Mines options, traded simultaneously over the counter in Paris and London, and for which one Hirsch, a bullion broker in London and Paris, produced a price list. The complete series, such as London, New York, Brussels, or Amsterdam, covers over 100 years of stock exchange quotations. The more exotic or rare series, such as Bilbao, Alexandria or Cairo, have shorter time frames but are still complete. This stock (no pun intended) of information offers a very rare opportunity for a better understanding of the world of capitalism and finance as it opens up a transnational dimension, beyond the well-researched operation of individual markets. It discloses the entangled spatial logistics of capital raising, trading and the global architecture of financial information. Professor of International Law at the Graduate Institute of International Studies from 1972 to 2006, Lucius Caflisch (Trin, 31 August 1936- ) served as the Director of the Institute from 1984 to 1990. 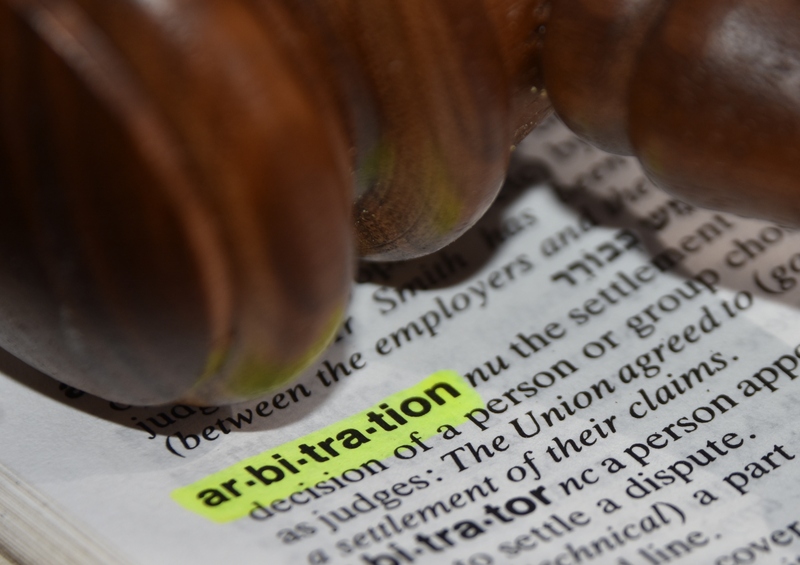 He also had a career full of various activities as a professor, as the author of numerous doctrinal books, as a judge, as a counsel, as a registrar and as an arbitrator of several arbitral tribunals. In 1991, he became a legal adviser for the Swiss Federal Department of Foreign Affairs and represented Switzerland at several international conventions. He also acted as a judge at the European Court of Human Rights (1998-2006). In 2006, Professor Caflisch was appointed to the Geneva-based International Law Commission of the United Nations. The fonds concerning several arbitration cases (books, documents, sometimes handwritten) is held by the Graduate Institute Archives. For each case, archives contain correspondence, verbatim records, documents produced by the parties, dissenting opinions, propositions of judgments, updated versions of awards and some records of debates. Most of these documents are in English and in French. A few documents are in the original language of the parties. These documents are registered. Consultation is on request. Philippe Cahier (Paris, 31 March 1932- Geneva 18 May 2006), Professor of International Law at the Graduate Institute of International Studies from 1960 to 1996, was also, during his career, a registrar and a president of arbitral tribunals. The fonds concerning several arbitration cases (books, documents, sometimes handwritten) is held by the Graduate Institute Archives. For each case, archives contain correspondence, verbatim records, documents produced by the parties, dissenting opinions, propositions of judgments, updated versions of awards and some records of debates. Most of these documents are in English and in French. A few documents are in the original language of the parties. These documents are registered, consultation on request. Archives de la Fondation créée par C. Eckenstein pour l'étude des relations de la Suisse avec le Tiers-Monde et le soutien des activités de l'IUED. Juriste de formation, journaliste indépendant, expert en économie du développement Christoph Eckenstein a créé une fondation destinée à soutenir des recherches sur les relations entre les pays industrialisés et les pays en développement et à promouvoir l’IUED. Elle fut dissoute en 2003. Les archives personnelles de Christoph Eckenstein ainsi que celles de la Fondation, déposées à l'IUED, sont constituées de documents relatifs aux relations avec l’IUED, aux projets de recherche aboutis, aux publications et à la correspondance de la Fondation. Un autre fonds était déposé à l’Institut européen de l’Université de Genève. En 2011, l'ensemble de ces fonds a été transféré aux Archives fédérales suisses où ils peuvent être librement consultés. The Ronald Dreyer Rare Books Collection comes from a donation made by his wife, Dr Marilyn Dreyer-Pigott, to the Institute in 2014. Alumnus of the Institute, Dr Ronald F. Dreyer was a diplomat and international expert in peace-building issues and democratisation processes. He also was a passionate bibliophile, who collected ancient books in connection with his own fields of expertise – international relations, diplomacy and peace-building – but also politics and 18th century French literature. Among those remarkable items stand an original edition of one of the first diplomacy manuals, L'Ambassadeur et ses fonctions by Abraham de Wicquefort (1680-1681), an 1668 edition of the Ambassade du Maréchal de Bassompierre en Suisse l'an 1625, a calfskin-bounded volume of De la manière de négocier avec les souverains by François de Callières (1716), the abbé de Saint-Pierre's Projet de traité pour rendre la paix perpétuelle (1717) and an extremely rare edition of Jacob Spon's Histoire de la ville et de l'Etat de Genève (1682). Dr Ronald F. Dreyer was on board the ill-fated Air France flight AF 447 from Brazil to Paris on Monday, 1 June 2009. His wife, Dr Marilyn Dreyer-Pigott offered to donate his personal library of rare books to the Institute. This comprises a collection of fifty old and rare books, dating from the 17th to the 19th centuries. This generous donation is gratefully acknowledged. 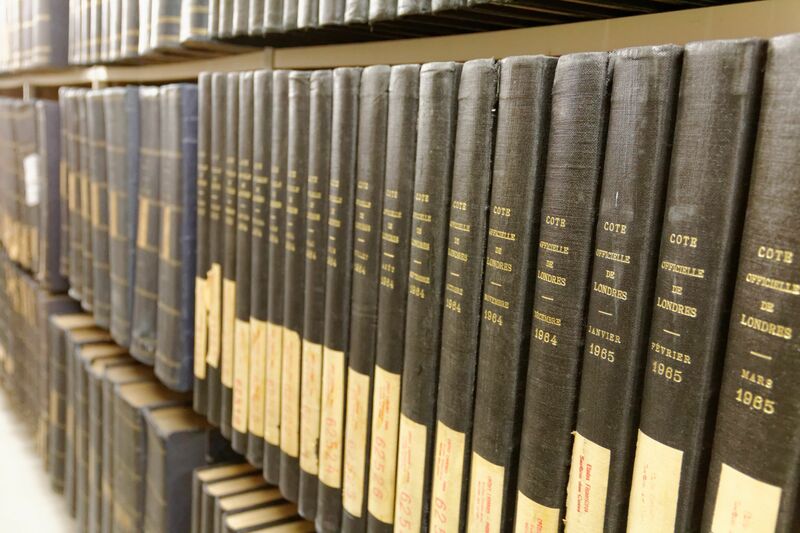 These volumes are currently being processed by the Institute's Library. They are accessible to the public by appointment, and some of them are soon to be digitised and displayed in a digital library. Dr Ronald F. Dreyer was an alumnus of the Institute. He began his career as a Delegate to the International Committee of the Red Cross and made his first field missions to Cyprus (1975), Namibia (1976) and Zimbabwe (1977). He defended a PhD in Political Science on British perceptions of German rule in Namibia (prom.1985), which was later published. Dr Dreyer was a Research Fellow and Lecturer at the Institute between 1985 and 1991. His post-doctoral research on Namibia and Southern Africa was published by the Institute. He entered diplomacy by conducting monitoring missions and support to electoral processes in countries in crisis, for the United Nations and the OSCE: Namibia (1989), Haiti (1990), Bulgaria (1991), Romania (1992) and Eritrea (1993). As Regional Coordinator for the UN Verification Mission UNAVEM II (Angola, 1992), member in ONUMOZ (Mozambique, 1994) and Joint Coordinator for the UN/OSCE Electoral Verification Mission in Azerbaijan (1995), he contributed to the consolidation of peace and democratisation processes in countries emerging from conflict, bringing his expertise in election assistance and observation. He also served in Bosnia and Herzegovina, as a disarmament and civil reconstruction specialist, for the OSCE (1996-1998) and the UN BRH-OHR (2003-2004). As an expert on peace-building issues, Dr Ronald F. Dreyer continued his diplomatic career in Brussels (OSCE Stability Pact for South-Eastern Europe) between 1999 and 2002, then again returned to Angola for the Swiss Agency for Development and Cooperation in 2005. The following year, he became Coordinator of the Geneva Declaration on Armed Violence and Development, working actively with the Swiss Permanent Mission to the UN and the Small Arms Survey until his untimely death. A video prepared by colleagues pays hommage to Dr Ronald F. Dreyer and retraces his professional life: In Memoriam Ronald Dreyer. This film was shown at the Memorial for Peace Ceremony held at the Institute on 26 june 2009 (org. Mr Keith Krause).